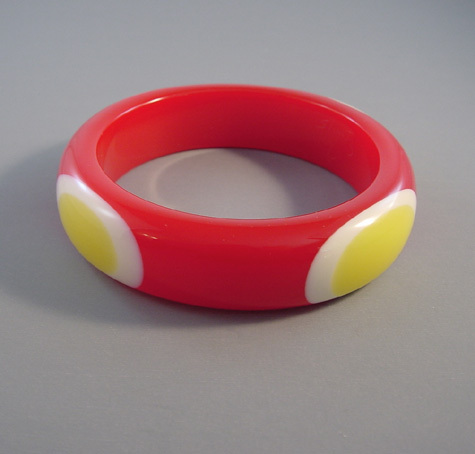 SHULTZ bakelite red bangle with 4 white and yellow bull's eye dots, 2-1/2" by 3/4" by 1/3". 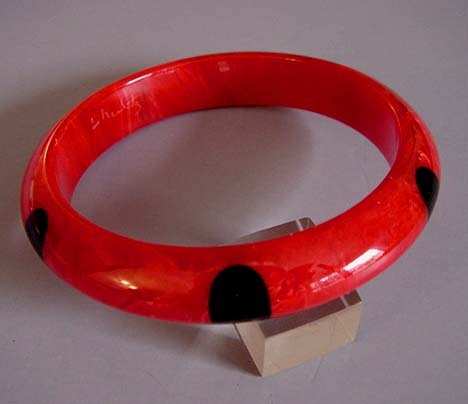 Artisan Ron Schultz, who began making his wonderful bakelite jewelry in the 1980s, creates his pieces using genuine vintage circa 1940s bakelite, and every piece is his own original work. 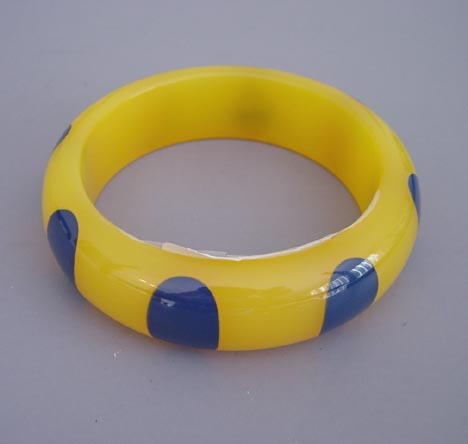 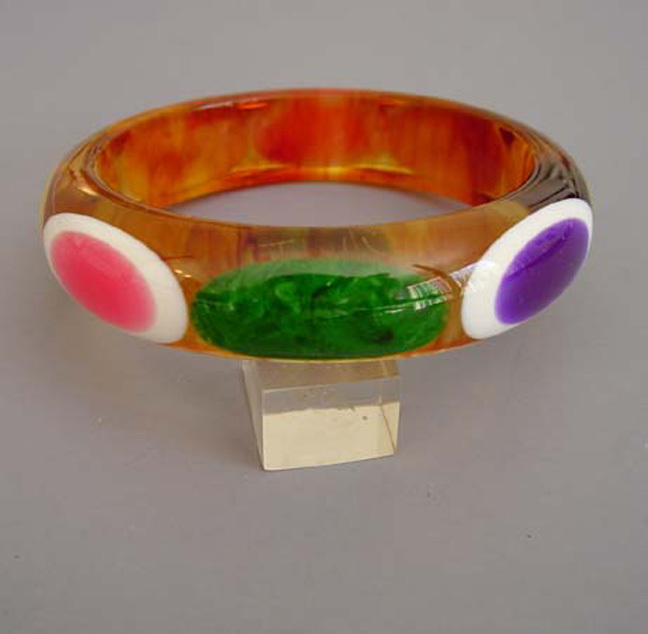 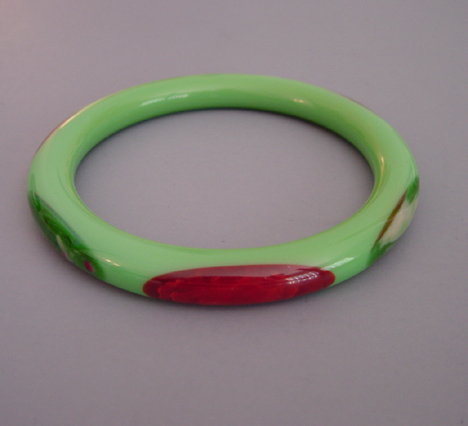 A similar bangle can be seen in the book "Shultz Bakelite Jewelry" by Karima Parry on page 39.